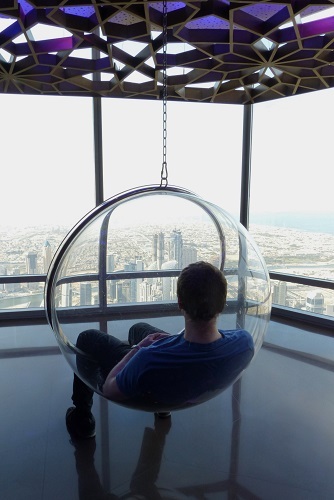 Reclining on cushions inside giant hamster balls was not really how we envisaged enjoying the views from Burj Khalifa, the tallest building in the world. Suspended from the ceiling in front of panoramic windows, we gently swung and twisted as we looked out over Dubai. From our vantage point in the hamster balls, we had a great view across to the 300 man-made islands that make up 'The World'. The balls make surprisingly comfortable seats but there are not enough to go around so we couldn't sit for long. 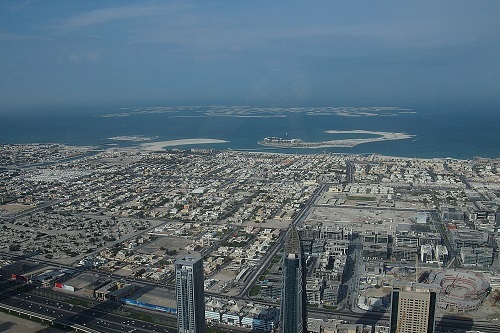 On our first lap of the 125th floor observation deck, we admired views across the modern cityscape, with its skyscrapers and iconic hotels, to the barren desert beyond. Second time around, we noticed that half of the city had disappeared, a clear sign of the impending rain. 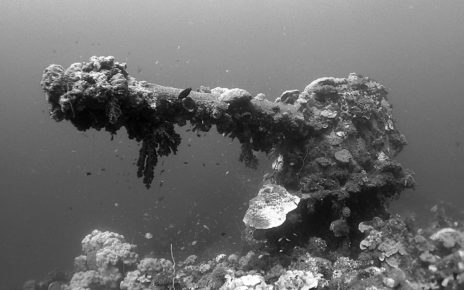 The Burj Khalifa was not always destined to be the world's tallest building. Property developer, Emaar, originally presented an idea for a modest 90-storey tower in the heart of Downtown Dubai. The Sheikh however, set his sights higher and encouraged a much more ambitious development. 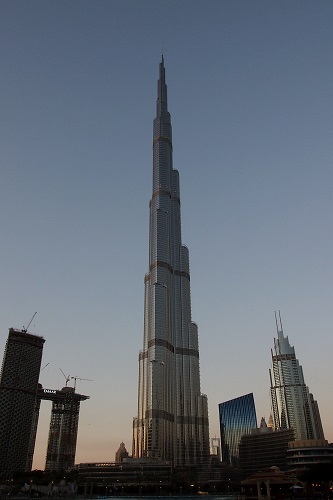 The result was a 163-storey building topped with a 244 metre spire giving a record breaking total of 828 metres. 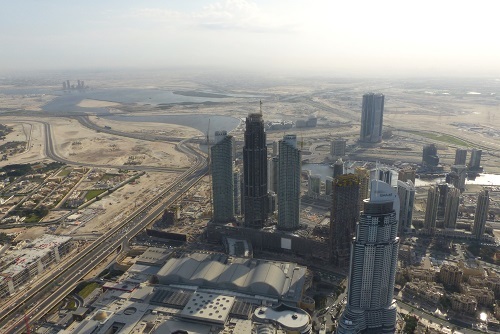 The Sheikh's ambitious vision has not just been limited to this one tower. 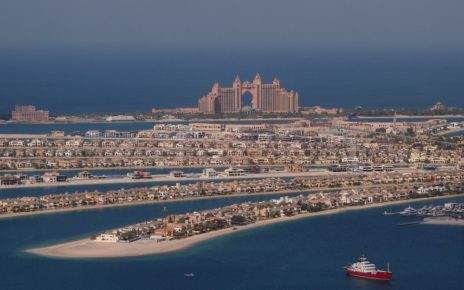 He has been the driving force behind the rapid development of Dubai into an ultra-modern, almost futuristic city. 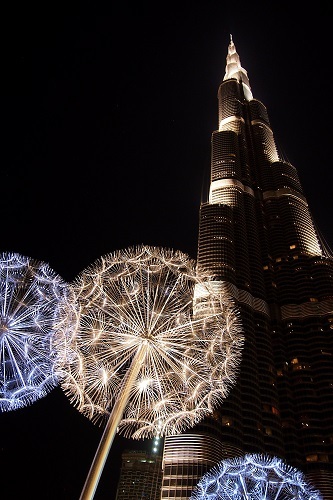 It's much cheaper to book your tickets for the Burj Khalifa online in advance. Buying a ticket when you arrive costs nearly twice as much. 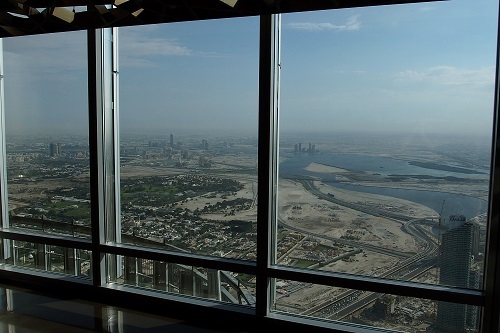 The observation decks at Burj Khalifa are quieter before the adjacent Dubai Mall opens at 10am. Get there early to avoid the crowds. The bridge between Dubai Mall and Souk Al Bahar is a popular place to take photos of the Burj Khalifa. It also gets extremely crowded. 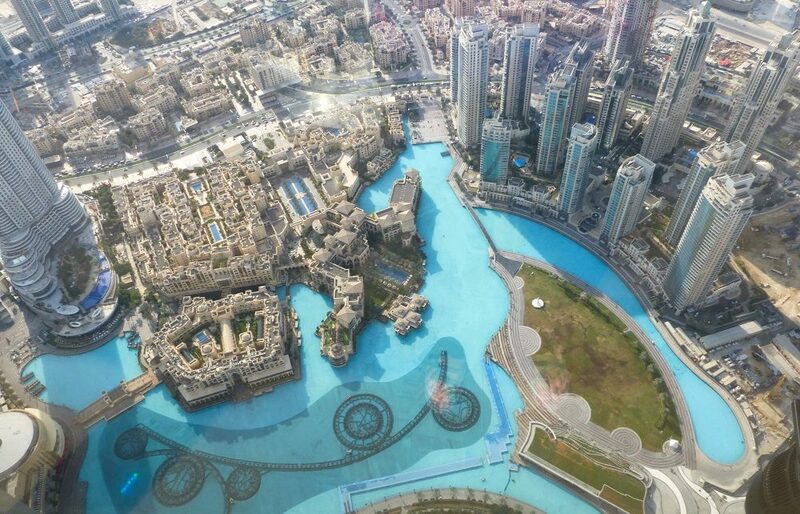 Walk around the fountain pools to Burj Park or Burj Plaza for uninterrupted views and fewer people.